The Mediterranean refugee crisis is just a part of a comprehensive public policy failure by the EU and its member states in the field of migration. Despite Egypt’s sustained crackdown on human rights, on June 3 Germany rolls out the red carpet for the Egyptian president. This is a big foreign policy mistake. Judy Asks: Is the European Neighborhood Policy Doomed? Despite catchy headlines and bold rhetoric, the EU faces a migration problem characterized by old habits and worrying new trends. There are no easy solutions. European governments have to choose between pandering to populist political parties and offering refuge to those fleeing the turmoil in Europe’s Southern neighborhood. Tunisia has made progress in its journey to democracy, but many obstacles remain. The international community must keep its focus on the country’s unfinished transition. The EU should abandon the concept of a single set of standards and instruments for all of its neighbors. It is time for a revolution in the European Neighborhood Policy. Europe risks turning the Mediterranean into a “vast cemetery” with its shameful response to those fleeing the Syrian civil war and other conflicts. In its relations with Egypt, the EU should focus on four major challenges: protection of civil society, parliamentary elections, economic engagement, and political Islam. Egypt’s new president faces a raft of big challenges, from restoring security to promoting investment. His priorities are ambitious, and the EU should give him a chance. From Chinese industrialization to maritime trade, from the perils of piracy to human trafficking, a voyage from the Far East to Europe reveals much about the modern world. 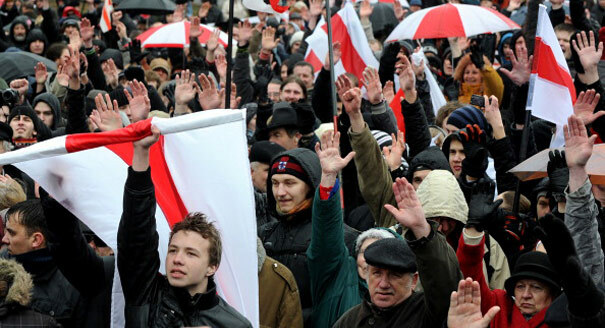 As the EU prepares to draft a new justice and home affairs program, leaders should listen to Eastern Europeans’ concerns about demographic trends and population shifts. Ukraine’s protesters must ensure they convert the spirit of revolution into real democracy. In doing so, they should avoid the mistakes made by other states, especially Egypt. At the third anniversary of the Arab Spring uprisings, the state of play in the Middle East and North Africa is cause for concern. But is it all as somber as it looks? Stuttering efforts to promote democracy and human rights in Europe’s neighborhood show why the European Endowment for Democracy is so badly needed. Judy Asks: Has the EU Lost Both Its Neighborhoods? Judy Asks: Does Europe Want Immigrants? Unskilled migrants offer many economic advantages for recipient countries in the West. As Europeans get richer and older, they will need more and more unskilled immigrants.